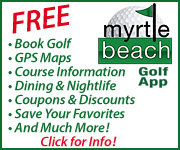 On August 31, 2018, Greg Williams of North Augusta, S.C. shot a net 67 (gross 90) to win the Flight Winners’ Playoff at the 35th Annual PlayGolfMyrtleBeach.com World Amateur Handicap Championship at Barefoot Resort’s Dye Course. 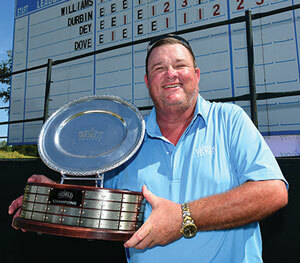 Williams emerged from a field of 3,184 golfers and edged second-place finishers Rob Durbin (York, S.C.) and Mark Dey (Decatur, Mich.) by two shots to claim the title of World Champion. Derrick Oyervides (Greer, S.C.) shot a 74 to cruise to a six-stroke win in the gross division, finishing with a five-round total of 363. Bobby Stiffler (Glen Rock, Pa.) who fired a 76 at the Dye Course, was second, while Todd Stires (Murrieta, Ca.) finished third, 11 shots back. 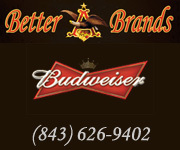 Steve Comings (Odenton, Md.) shot a 73 at the Dye Course, finishing with a five-round score of 372, one shot clear of second-place finisher Steve Humphrey (Lexington, Ky.), to win the Senior Gross Division. By virtue of winning the gross divisions in the World Amateur Handicap Championship, Oyervides and Comings won all expenses-paid trips to compete in the Hainan Amateur in the Yangpu Economic Development Zone in China in November. John Long (Allen, Tx.) and Ted Johnston (McKinney, Tx.) combined to win the Club Choice Ireland Pairs Competition, shooting a combined, net team score of 150. By virtue of winning, Long and Johnston won a six-night, five-round trip to Ireland. A 72-hole, net stroke play event, golfers were placed into tightly grouped flights based on age, gender and their handicap index. After 72 holes of competition, all flight winners and ties advanced to Friday’s Flight Winners’ Playoff at Barefoot Resort’s Dye Course, an 18-hole shootout that crowned the 2018 World Champion. 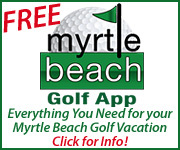 There were 66 flights in this year’s tournament and 33 Myrtle Beach golf courses hosted tournament play each day. In total, 55 area courses hosted at least one round of the World Am. Each night players gathered at the World’s Largest 19th Hole, which consumed all 120,000 square feet of the Myrtle Beach Convention Center. Tournament players and a guest enjoyed free food and drinks, a 70-exhibitor golf expo, live entertainment, demo areas, celebrity appearances and more. Golf Channel’s popular Morning Drive program provided live coverage of the tournament on Thursday and Friday mornings, giving viewers an up close look at the event and the World Championship Playoff. 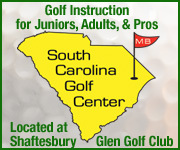 The PlayGolfMyrtleBeach.com World Amateur Handicap Championship, the world’s largest single site tournament, is a Golf Tourism Solutions event. The 2019 World Am will be played August 26-30.